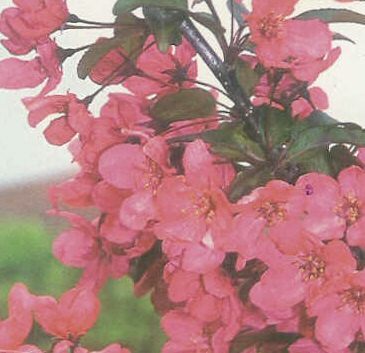 A stunning new crab apple variety, recently added to the trees-online crab apple collection, prairie fire was selected because it is a particularly attractive shaped tree, with an upright to round shape. In addition it carries beautiful reddish-purple flowers and large appealing spherical fruit. Expect this tree to reach a final height of 4m (13ft), so an ideal choice for the smaller garden. Prairie Fire is supplied at of height of between 1.5m-2.00m in a 7-12 litre container, which means that the tree can be planted any time of the year and with better results than either bare-root or rootballed trees.